The U.S. Food and Drug Administration has expanded the use of Gardasil 9 -- a vaccine for HPV -- to include women and men age 27 through 45. The U.S. agency, which made the announcement Friday, had approved the use of Gardasil 9 for use in men and women 9 through 26 in 2014. The vaccine is manufactured by Merck, Sharp & Dohme Corp., a subsidiary of Merck & Co., Inc. The approval "represents an important opportunity to help prevent HPV-related diseases and cancers in a broader age range," Dr. Peter Marks, director of the FDA's Center for Biologics Evaluation and Research, said in a statement. 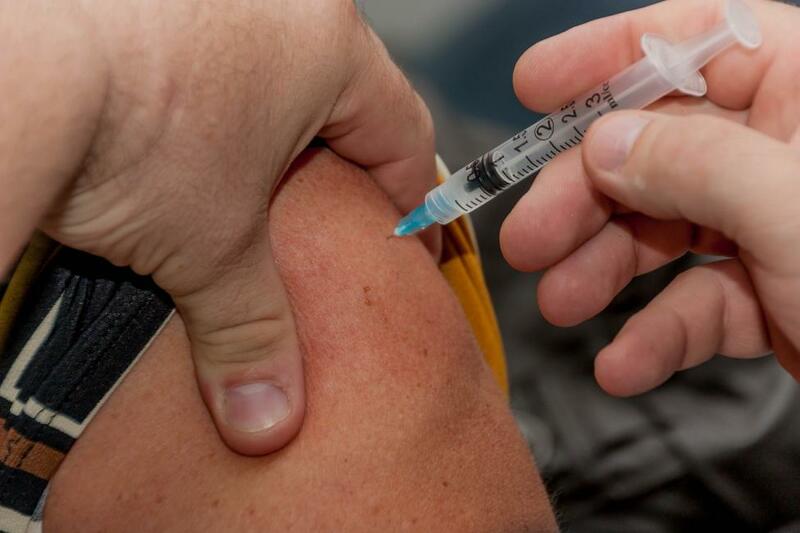 The vaccine prevents cancers and diseases caused by the nine types of human papillomavirus. Nearly 80 million people -- about one in four -- are currently infected in the United States. About 12,000 women become diagnosed with cervical cancer and about 4,000 women die from the cancer caused by certain HPV viruses each year. HPV viruses are associated with several other forms of cancer affecting men and women. The vaccine has the potential to prevent more than 90 percent of these cancers, or 31,200 cases every year, from ever developing, according to the CDC. In 2006, the FDA approved Gardasil to prevent certain cancers and diseases caused by four HPV types. It no longer is distributed in the United States because a new version of the vaccine, Gardasil 9, covers the same four HPV types and an additional five types. Results from clinical trials of the previous version remain relevant though. A trial followed approximately 3,200 women 27 through 45 years of age for an average of 3.5 years. Gardasil was 88 percent effective in the prevention of a combined endpoint of persistent infection, genital warts, vulvar and vaginal precancerous lesions, cervical precancerous lesionsand cervical cancer related to HPV types covered by the vaccine. Also, 150 men age 27 through 45 received a 3-dose regimen of Gardasil over 6 months, and it was just as effective. Gardasil 9's safety was evaluated in about 13,000 males and females. The most commonly reported adverse reactions were injection site pain, swelling, redness and headaches. The FDA gave the vaccine priority review status, which facilitates and expedites the review of medical products for a serious or life-threatening condition.